In an era when automakers and Silicon Valley are scrambling to develop self-driving modes of transportation, Mazda embraces the joy of driving. “Feel Alive” is the company’s new advertising tagline, and this is more than just a slogan. From the contact patches up, every Mazda is engineered for maximum driving enjoyment. Mazda isn’t sitting the autonomous movement out. It offers a full roster of driver assistance and collision avoidance technologies, and while they aren’t perhaps as capable as the latest wares from automakers like Mercedes-Benz and Volvo, they are competitive and do provide the necessary building blocks on which Level 5 autonomous driving technology is based. Additionally, Mazda is attempting to redefine what constitutes a premium vehicle. Its new Signature series of models ladles on the luxury at what amounts to a bargain price, providing premium materials, upscale detailing, and a full load of equipment for much less than you’d spend on a traditional luxury marque. For such a small and fiercely independent car company, Mazda’s got a lot on its plate. Given that the 2018 Mazda Mazda6 sees significant changes, it was the perfect candidate for examining the automaker’s progress on multiple fronts. This year, the Mazda 6 gains subtle exterior updates, more extensive interior changes, structural and engineering improvements, and a new turbocharged engine in most trim levels. 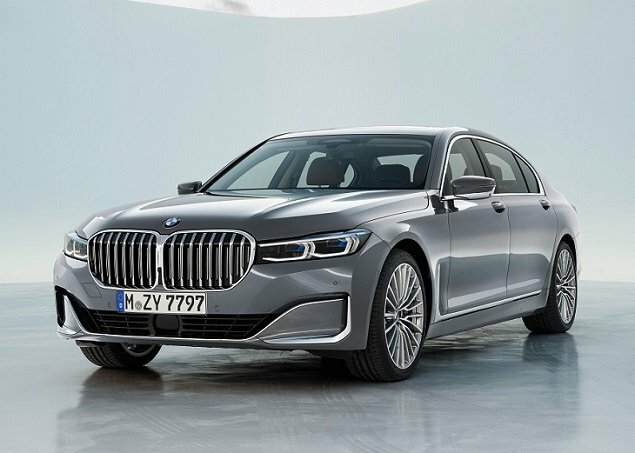 The company aims to refine its family sedan, making it quicker, quieter, and more sophisticated, a car that is enjoyable to drive, technologically advanced, and in top Signature trim undeniably upscale. For this review, J.D. Power evaluated a Mazda6 Signature equipped with extra cost paint, a carpeted trunk mat, and door sill trim plates. The price came to $36,440, including the $895 destination charge. Before we discuss the results of our evaluation of the Mazda Mazda6, it is helpful to understand who buys a Midsize Car, and what they like most and least about their vehicles. Midsize car owners are predominantly male (61%), and more than half are members of the Pre Boomer and Baby Boomer generations (53%). They earn a median annual household income of $86,689. According to J.D. Power data, 46% of midsize car buyers prefer to buy a vehicle from a domestic company, but just three midsize models are available in that category (Buick Regal, Chevrolet Malibu, and Ford Fusion). The Buick is made in Germany by Opel, which is no longer owned by General Motors. The Ford is made in Mexico, and will be transformed into a wagon-based crossover in a couple of years. That leaves the Malibu as the sole U.S.-built midsize sedan from a domestic automaker. Midsize car owners agree that the three following vehicle attributes are the most important when they are selecting a new vehicle: Reliability (98% agree), quality of workmanship (93% agree), and low maintenance costs (92%). Not far behind, 89% agree that they like a vehicle that offers responsive handling and powerful acceleration. Owners report that their favorite things about midsize cars are (in descending order) the exterior styling, interior design, seats, driving dynamics, and visibility and safety. Owners indicate that their least favorite things about midsize cars are (in descending order) the storage and space, engine/transmission, climate control system, infotainment system, and fuel economy. In the sections that follow, our expert provides his own perceptions about how the 2018 Mazda Mazda6 measures up in each of the 10 categories that comprise the 2018 APEAL Study. Styling sells midsize cars, leading owners of this type of vehicle to rank exterior design as their favorite thing about their vehicles. Among these owners, folks who buy the Mazda6 must be especially enthusiastic. This is one of the best looking sedans that money can buy regardless of price, and that you can get this Mazda with paint that glows, polished-finish wheels, a gunmetal detailed grille, and almost sensual body lines for well under $40,000. Beauty is in the eye of the beholder, of course. But in my eyes, the Mazda6 is the best looking midsize car you can buy. That sense of style continues inside the Mazda6 Signature’s cabin. Two color choices are available – Chestnut and Parchment – and my preference is the off-white Parchment color. Chestnut, a dark chocolate color, as nice as it is, provides little contrast with the cabin’s genuine Sen wood trim and black dashboard and carpets. Supple leather, simulated suede, soft-touch surfaces, fabric-wrapped roof pillars, and elegant detailing make the Mazda6 Signature’s interior luxury-grade. The single exception would be its hard plastic lower dashboard and door panels, but they are finished with a low-gloss surface. Mazda redesigned the Mazda6’s seats for 2018, and they’re terrific. Wrapped in premium Nappa leather in Signature trim, the front seats are heated and ventilated, and the front passenger benefits from height adjustment to improve comfort. Furthermore, the Mazda6 Signature has plush padding on the center console and center armrest, enhancing the sense of well being for the driver and front passenger. Though a Mazda6 is on the smaller side of the midsize car spectrum, it provides impressive rear seat comfort. The front seatbacks are padded in order to be kind to knees and shins, but only the tallest of passengers will come into contact with them. Air conditioning vents and quick-charge USB ports keep rear seat riders cool and occupied, and the bottom seat cushion sits up high for good thigh support. It takes awhile for the Mazda6’s air conditioning system to make a satisfying contribution to cooling the car’s interior on a warm day. You’re probably going to need to power all of the windows down to help give it a head start. Even after a few minutes, the air flowing from the car’s vents isn’t exactly icy. It took a good 15 minutes of freeway driving before the cabin cooled to the desired 70 degrees. This made the seat ventilation system all the more useful for wicking sweat from my back. The lack of cooling power also made my kids cranky, though I’m sure the outboard rear seat heaters would have made them happy on a cold day. The controls themselves are clearly marked, intuitive to use, and reflect quality in terms of their appearance and feel. Given the Mazda6 Signature’s luxurious interior, the 8-inch Mazda Connect infotainment display looks small and plain. Compared to other midsize cars, though, it is competitive in terms of its size, features, and functions. You control the system in one of three ways: touchscreen (when the car is not moving), a BMW-style controller with menu buttons on the center console, or by voice commands. The voice recognition technology works well, helping a driver to find points of interest, restaurants, coffee shops, and addresses with a minimum of hassle. The reason Mazda won’t allow touchscreen operation while the car is moving is because the company firmly believes that while driving, a driver must focus on the task at hand. That’s also why some Mazda Connect functions are unavailable unless the car is stopped. Believe it or not, the center console controls become second nature. It takes some time, but within a week and 500 miles I was using them by touch to access the screen’s main menu, stereo screen, and navigation screen. You twist and push the large control knob to operate the screen, and a small volume knob is located near it. Mazda has officially jumped on the Apple CarPlay and Android Auto bandwagon, which is great because the HD Traffic data display isn’t laid on top of the navigation system’s map. I used Apple Maps (I know, I know) to help identify sticking points on Los Angeles freeways during a day trip to Orange County. The Mazda6’s center console bin is very small. Otherwise, though, Mazda provides numerous practical trays, bins, and cubbies in which to stash keys, smartphones, and whatnot. The glove box is a good size, and is lined with fabric to underscore the Signature trim’s luxury aspirations. At 14.7 cubic-feet, the trunk is among the smallest in the midsize car segment. However, the distance from the rear seatbacks to the bumper is generous, which allows for lots of packing options. Forward visibility is outstanding, and large side mirrors in combination with a standard blind spot monitoring system make it easy to see to the sides of the car. A reversing camera and a rear cross-traffic alert system are also standard on all Mazda6 trims. Signature trim includes a 360-degree surround view camera system with a manual camera activation button conveniently located on the lower left side of the dashboard. This was useful on multiple occasions, such as when parallel parking and when threading through stacked parking following a performance at the Hollywood Bowl. Mazda’s Smart City Brake Support is standard on all 2018 Mazda6 trims, and is a low-speed automatic braking system with pedestrian detection. Optional for Sport trim and standard on all other Mazda6s, an iActiveSense suite of driver assistance and collision avoidance systems upgrades the car to Smart Brake Support operational at much higher speeds. Additionally, this package adds adaptive cruise control with stop-and-go capability, lane departure warning with lane keeping assist, automatic high-beam headlights, and rain-sensing wipers. During testing, I found Smart Brake Support to be too aggressive when programmed to its medium setting. Changing it to a low-sensitivity setting solved the problem. Given that it activated twice before I went into the Mazda Connect system to adjust it, I can attest that it works to bring the Mazda6 to a sudden and swift stop if it thinks you need the help. The blind spot monitoring system also errs on the side of surety. It looks farther back than most systems, so even when it is technically safe to execute a lane change, it warns you that you might want to wait a bit. Crash-test ratings impress. The car misses a “Top Safety Pick Plus” rating from the Insurance Institute for Highway Safety (IIHS), but only because the headlights are rated “Acceptable” rather than “Good.” Personally, I found the adaptive LED lights on my test car to provide excellent illumination, especially in my neighborhood, which has no streetlights. Infused with power, the 2018 Mazda6 Grand Touring, Grand Touring Reserve, and Signature benefit from a new turbocharged 2.5-liter 4-cylinder engine yanked out of the larger CX-9 SUV. 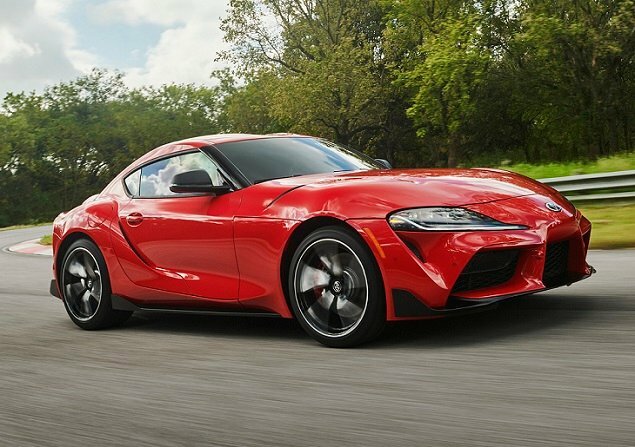 It makes 250 horsepower (227 if you run it on 87-octane instead of 93-octane fuel) and a whopping 310 lb.-ft. of torque at just 2,000 rpm. Speaking from experience, you do not want to floor this car from a stop unless you intend to paint long black marks on the pavement. When turbocharged, the Mazda6 is begging for an all-wheel-drive system. More judicious use of the engine produces smooth, speedy acceleration accompanied by a throaty note not unlike a Subaru WRX. A 6-speed automatic transmission delivers the power to the front wheels. Naturally, it offers a Sport driving mode that quickens the car’s pulse, and manual shifting using the console lever or paddles on the steering wheel. Naturally, the Mazda6’s more powerful turbocharged engine is also less efficient that the normally aspirated 2.5-liter 4-cylinder that goes into the Sport and Touring trim levels. The EPA says the standard engine gets 29 mpg in combined driving, while the turbocharged engine returns 26 mpg. In 2017, a Mazda6 with the less powerful engine got 27.8 mpg on my testing loop. This turbocharged 2018 Mazda6 returned 24.6 mpg. That difference is aligned with EPA ratings, even if both numbers fall short of expectations. 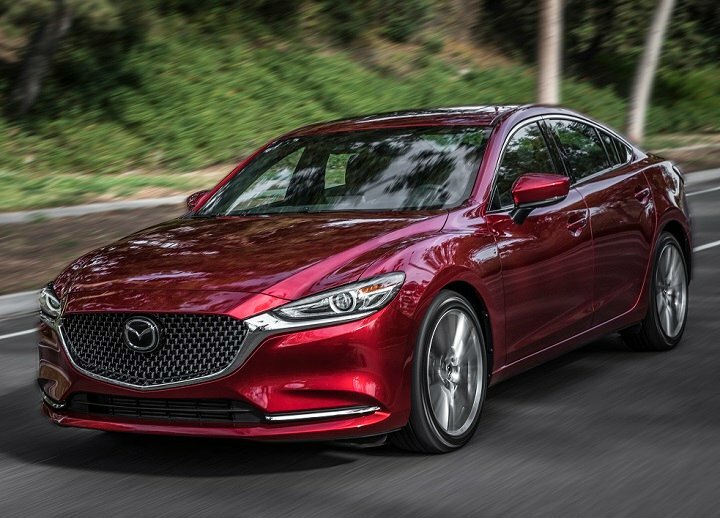 Adding the turbocharged engine puts an extra 133 pounds over the Mazda6’s front wheels. This changes weight distribution from 59:41 in the Sport and Touring trims to 60:40 in other versions of the car. Additionally, Mazda has revised the car’s steering and suspension tuning for 2018, while stiffening the chassis for improved ride and handling characteristics. I’m unconvinced that the modifications are beneficial. Heavy steering effort and what feels like less compliance in the suspension make it seem as though more than 133 extra pounds are sitting under the car’s nose. Mazda says the turbocharged 2.5-liter makes as much torque as a 4.0-liter V8, and from the driver’s seat it feels like a V8 is sitting over the front wheels. It took a long time for me to get used to the heavy steering and busier ride quality. Ultimately, though, after a week and 550 miles of driving, neither trait was particularly bothersome. And while the ride quality is busy, it’s not stiff. You’re always aware of the road surface, but its subtle rather than crude. Handling impresses. You can fling this car down a back road with plenty of confidence, though the P225/45R19 Falken Ziex all-season tires tended to howl and scrub in tighter corners. This characteristic simply magnified the sensation that a turbocharged Mazda6 is carrying lots of extra weight up front, even if the actual measurement isn’t all that much. Due to road construction, I needed to take a detour, which put the Mazda6 on a much more technical mountain road with a steeper descent and tighter, slower corners. The car’s brakes handled their task admirably, fading just a bit with temperatures in the mid-70s, and bringing the sedan to a full-ABS panic stop without a problem. When you consider what midsize car buyers like the most about their vehicles (styling and design, comfort, driving dynamics, visibility and safety), and you take into account what they value the most (reliability, quality, low cost of ownership, responsive handling and powerful acceleration), the 2018 Mazda6 Signature delivers on all counts. Simply put, and with few exceptions, this is an excellent automobile, and one well worth consideration whether you’re shopping for a mainstream family sedan or an entry-luxury car. 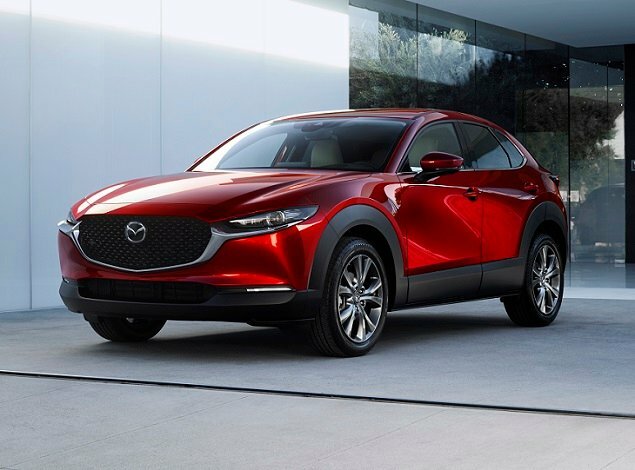 The challenge for Mazda is that nearly half of midsize car buyers really want something made by a domestic company, and the rest tend to gravitate toward Honda, Nissan, and Toyota when making a choice. Car enthusiasts and people who love to drive will consider a Mazda, and likely buy one, but the company’s brand awareness among other people isn’t terribly high. That deserves to change, because the 2018 Mazda6 is about more than just feeling alive. It satisfies every primary requirement and preference in a midsize car, whether rooted in emotion or practicality.